Denny McLain, author of The Art of Pitching, played for the Detroit Tigers. In the introduction, Denny McLain offers some excellent advice for those who want to be Major League pitchers. “First always think about an education. In today’s game they want smart guys, guys that can comprehend and guys who want it badly. First and always think education.” The author addresses Tips and Applications: “Listen and Pay Attention.” In this section he recommends “breaking everything down, one movement at a time.” There are also photographs of the different types of pitches. In the first chapter, the author stresses control. He states that you learn control by practice and that a pitcher should always throw full strength. A pitcher must also take care of their arm and the way to do that is to warm up. The Art of Pitching is an excellent resource for coaches, parents, athletes and young athletes. There is a vast amount of advice and knowledge in this tiny book of a mere 81 pages. The book discusses the hitter, the extra pitch, playing the game, exercise, equipment and talent. Most young men enjoy playing ball. While not all will make it to the Major Leagues, they will still benefit from The Art of Pitching. The photographs and illustrations are a great addition to this book. 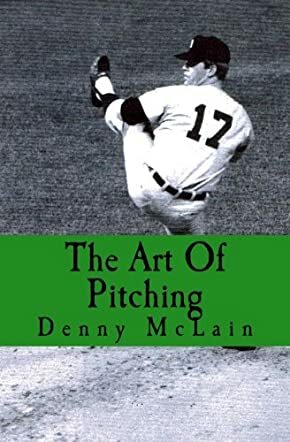 Author Denny McLain, two-time winner of the Cy Young Award and MVP with the Detroit Tigers, shares his experience and knowledge on how to be a better pitcher.